T & H Parts have mine industrial supplies, automotive filters, custom driveshafts. We are the largest supplier of filters in Northwest Colorado. We have a filter for basically everything that moves. 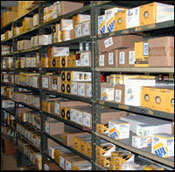 Find the filter you need at Napa Filters.